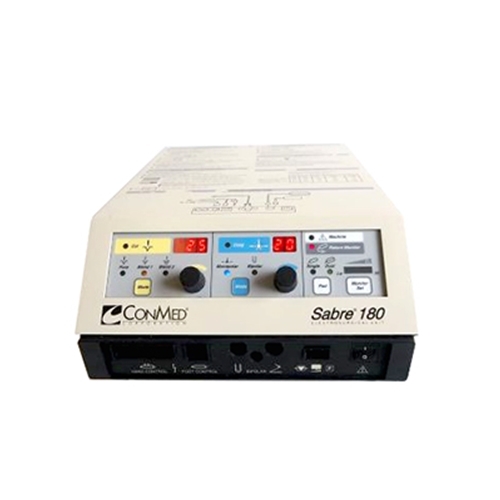 This medium-powered generator delivers impressive electrosurgical performance in all modes including monopolar cut and coag and bipolar coag. 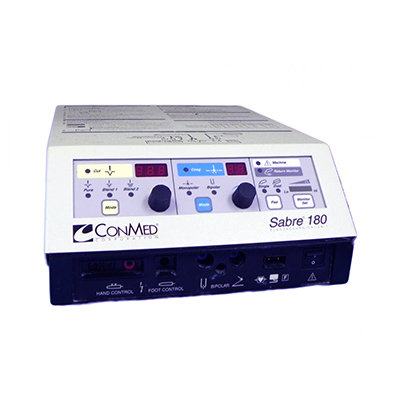 Additionally, the Sabre 180 is equipped with ARM Contact Quality, the most sensitive pad monitoring system available. 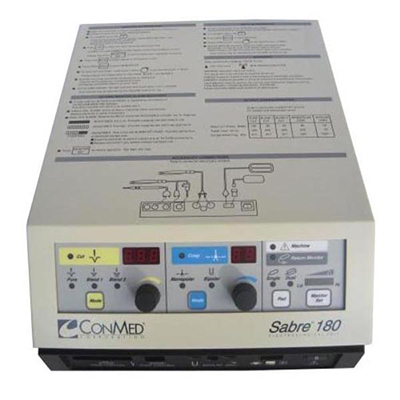 The Sabre 180 is ideal for use in surgery centers and office clinics during minor, general, and laparoscopic procedures. Setting: +/- 10%, +/- 5W to rated load @ rated mains. Mains: < 5% over mains voltage range. Settings: by digital knob from 0 to maximum in 1 watt steps. Display: seven segment digital display of watts to rated load resolved to 1 watt. 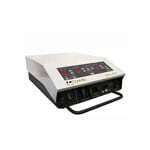 Soma Technology, Inc offers a wide range of ECG and multiparameter monitors. If you have any questions about any of our ECG and multiparameter monitors or need a quick quote, call 1-800-GET-SOMA and one of our knowledgeable sales representatives will help you.